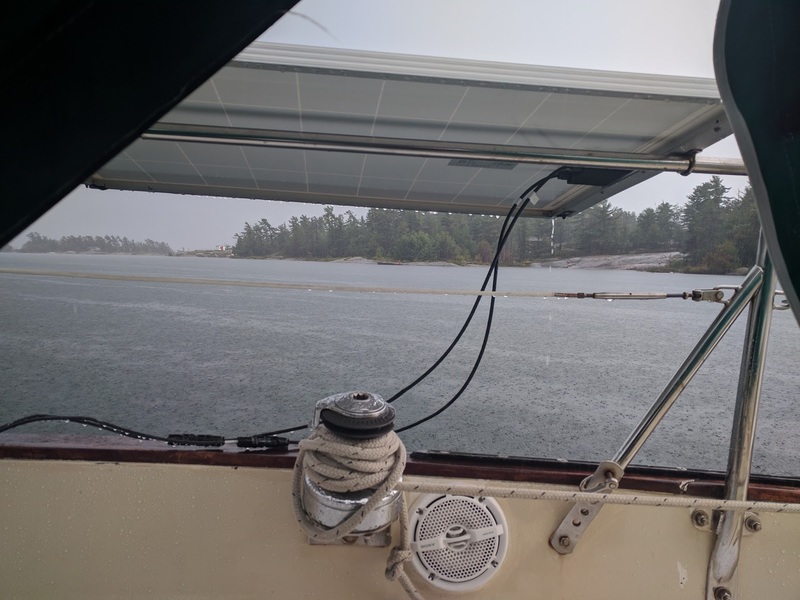 Yesterday i stayed put and it rained most of the day, being at times torrential. I didn't get off the boat so lots of reading, boat chores and a siesta was the order of the day. 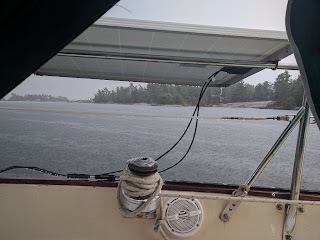 Today I am planning on heading through the small craft channel of Georgian Bay to another quiet cove 10 miles north of here behind Stairs Island. I did put a lot of photos I took since Midland into a video for you to get a glimpse of what it is like here.